The lure of high returns and easy money has burnt many of their hard earned savings. And yet, many more are lining up after being invited by friends or hoping to make a quick buck and quick exit. What is the allure of these “Money Games”? An illegal pyramid or ponzi investment scheme. You make back your money after typically 6 months to a year, and beyond that would be earnings. Paid to recruit people as your downline. Unsustainable and you are gambling that it will not collapse while you are in it. Relationships will sour / be destroyed with friends and family you “recruit” if they lose money in the money games’ collapse. You are not adding any value to the world but simply making money (stealing) from others. It’s illegal: if you promote or conduct a pyramid scheme, you will be fined or jailed up to 5 years. It’s blatantly introduced as a money game. Excesses, riches, luxury properties, celebrities, and titles are openly flaunted, appealing to human greed. Returns above 15% per annum (some as high as 20%, 30%, 40% or more). Masquerades as a legitimate investment in forex (FX), commodities, shares, travel packages, real estate, virtual currency, social networks, and businesses. Have some secret technology/robot/advantage that allows them to make awesome returns which they will let you in on for an “investment” as they need more “capital”. Some give “points” which you can convert into spending while some pay you cash directly into your bank account. Investment into “eShares” which are not actually shares. And/or conversion into worthless “shares” when the scheme is no longer sustainable. Sir, what is the different between MBI Malaysia and MBI China? Hi Lim, Thanks for your query. This article is shared towards educating and answering general queries on money games. The companies listed are what Google results show as among the more popular active money games in Malaysia. 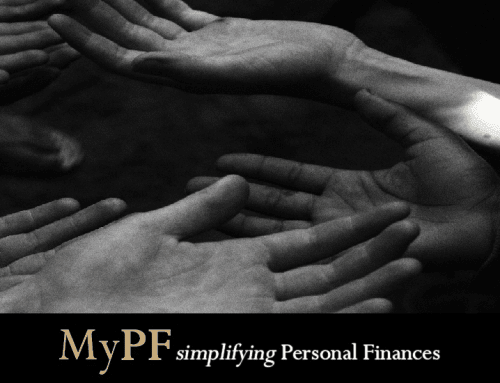 However for legal purposes, MyPF will not be talking in depth about the individual companies. If one has have info on money games and would like to share, you are most welcomed to share in the comments (posters are responsible for their own comments and we reserve the right to remove comments). Thank you for your reply. I think best to stick with the Registered Scheme listed by Suruhanjaya Syarikat Malaysia. Most welcome Lim. Definitely important to know how and where your hard earned money is being invested in. Market risks may be acceptable. Getting cheated/cheating others is not. To share with you that in today, 24 March 2017, the Sun newspaper front page reported that “UFUN” is a Ponzi scheme. Thanks for the highlight. We were considering listing UFun previously when the article was written. We have added UFun to the list. How about Mama Captain scheme? Please comment. Hi Suzanna, Here’s some publicly available info. – Mama Captain is a money game. – You exchange real money for virtual “coins”. – Coins can be used at merchants (largely F&B outlets) accepting Barrel2U. – Uses a binary (2 leg) MLM-like structure for recruitment incentives. – Most popular in the state of Penang. – At time of comment, not on BNM’s financial consumer alert watch list. Mama Captain sound like bit coins from your explanation to Suzanna, am I right? Bit coins is some how a virtual money, even though I do not know how to operate. Hi Lim, Both use the term “coins” but have a number of differences from money games “coins” VS Bitcoin (BTC). Ok…Mama Captain already in the list as current listing. Thank you for highlighting all the scam like money game scam. Usually people thought they are investing not “greed” as report. May be it is time your good website can highlight schemes (not scams) in SSM interest schemes which are more stable. Hi Lim, You’re most welcome and thank you for the suggestion. We will look into sharing more on valid investment schemes. You can check out guides and articles we have shared thus far on legit investments in the link below. Another interest scheme by SSM may be appealing should you wish to share it. Why no one now is interested in unit trust? Are they losing money? Hi Deric, Globally and in Malaysia we are seeing overall slowdown for UT investment with the increase in investors investing in ETFs, index funds & directly investing in shares. Jomtravel 200 in Malaysia is this a kind of MLM and is it legal and genuine? Hi Balaguru, Not much info on Jomtravel200 available. How about svi,scam or genuine? Hi Raja, SVI appears to be a money game as well with so called “e-shares”. It is however at time of comment not listed under BNM consumer financial alert list. Yes, they have been raided, they have been under investigations in few countries, they are being investigated to be linked to international drugs dealings, they have been listed in BNM financial consumer alert list, etc…. But…what can be done? They seemed to be getting stronger even after all of the above. In my opinion, why don’t the relevant govt department just take action to close down the entire operations if it is really illegal? But then again….they can move to another country and the ‘game’ is still in operation as it is borderless…..
Hi Evening, Enforcement is indeed difficult. Previous convictions have been under Anti-Money Laundering and Anti-Financing Terrorism Act (AMLAFTA), Financial Services Act (FSA), and Direct Sales and Anti-Pyramid Scheme Act. There has been proposals for legislating new laws if existing ones are insufficient as many appear to be getting away exploiting legal loopholes. Importantly for each individual is to get educated financially, and avoid greed and losses. Good afternoon. Can I know whether this company called TVS Global Organization Sdn Bhd a scam? It seems like selling UPSR exam on line said to have AJL license 9322213. Good afternoon Lim, TVS Global Organization is a direct selling company/MLM (and not the first education related MLM). Not much info available online on the program unless someone shares their experience. MLMs are mixed with some folks doing ok with certain MLMs while many end up wasting time, money, and relationships. Last Friday 13 April 2018, the star reported the fine toward Johnson Lee only amounting to RM18,000/= as compared to he took over RM1.5billion. Truly shameful as the judge not so wise. Thanks for sharing Lim. Really saddening to hear that the fine is not even a slap on the wrist. Dubious investment schemes will continue to abound as it appears to be so lucrative. Just to update you that the Sun paper today of 31 May 2018 informing us about MBI boss been charged under Payment System Act 2003.